Some of the things we touched was squidgy. As we are the first school to be the focus of the quadblogging this term, we thought we would tell you a little about ourselves. Our school is in Scotland, part of the United kingdom, although there is a debate at the moment about Scotland becoming independent. We live on the Island of Islay, off the west coast of Scotland. We have lots of beaches, some hills and moors and the 4 main places to live are Port Ellen, Bowmore, Port Charlotte and Keills. The weather on Islay is usually windy and wet and we have lots of powercuts, but we have lots of lovely wildlife. You can get to Islay using a plane or the ferry, the ferry journey takes about 2 hours. About 3,000 people live on Islay. 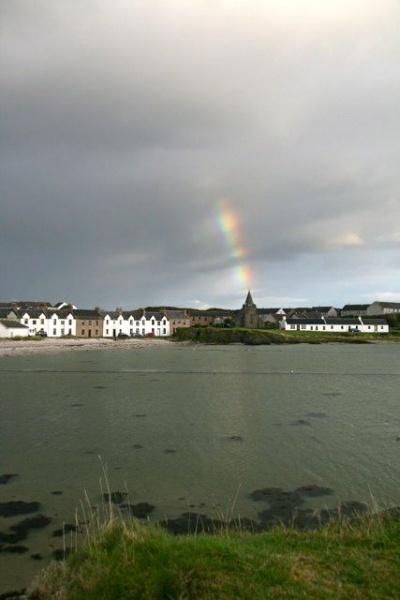 We live in Port Ellen, a village and a port. People in the village work on the land, in the whisky distilleries and fish in the sea. There are 8 distilleries on Islay. Port Ellen has playing fields, a small supermarket and 4 other shops. 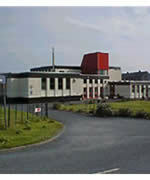 Our school has 2 levels, and 6 classrooms, as well as a school hall, staffroom, office and outside playgrounds. We have an all weather pitch, raised beds, a pond, a timber trail and a roundhouse. There are 64 children in the school, and 22 in nursery. There are 4 classes and nursery. 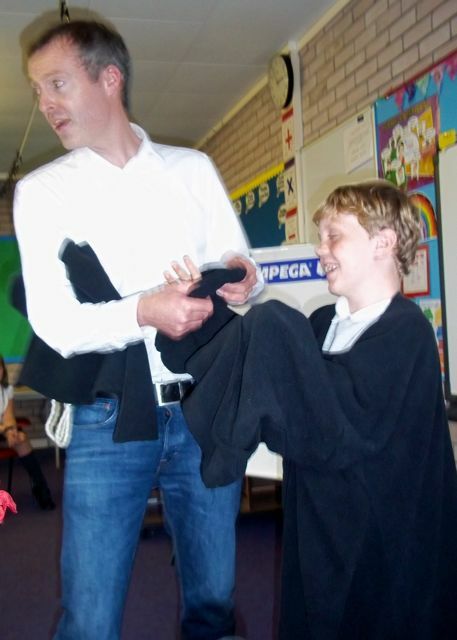 Allan Burnett was at Port Ellen primary school and he was talking to us about his history books. These are some of his books Columba, Wiliam Wallace, Mary Queen of Scots, Bonnie Prince Charlie, Rob Roy, Robert Burns, Robert the Bruce and Invented in Scotland. Oliver dressed up as Columba and looked like Darth Vada. It was great fun! 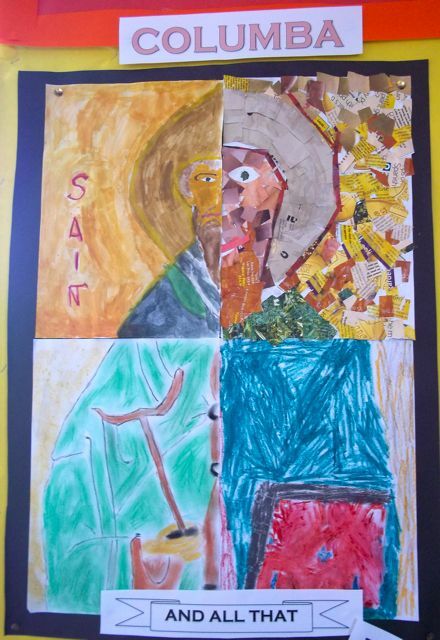 This term we are learning creation stories and doing puppet shows and shadow puppets. One of the creation stories is about how the world came from an egg, a dog breaks out of the egg and he holds up the sky, his tears fill the streams and rivers and seas. Another creation story is how the turtle carried the world, we are using shadow puppets to act the scenes out, well there was a sky city up in the clouds and there was a hole in the sky and sky women fell down and nearly drowns but then 2 swans flew up and caught her, then some animals went under the water but couldn’t bring any mud up, then the grandmother toad went under and brought up mud and place it on the turtles back. Now the puppet show, there is 5 puppets one is called Bob that is very crazy because he makes weird noises, there is Jim who is the clever one and does all the research, there is Killer who wants to eat the humans so him and his gang can RULE THE WORLD!!!!!!!! !, Fred talks very slow because he is the thickest out the lot and finally Zob is the one that has a deep voice and always says dude after every word he says. They want to find out about all the different creation stories. 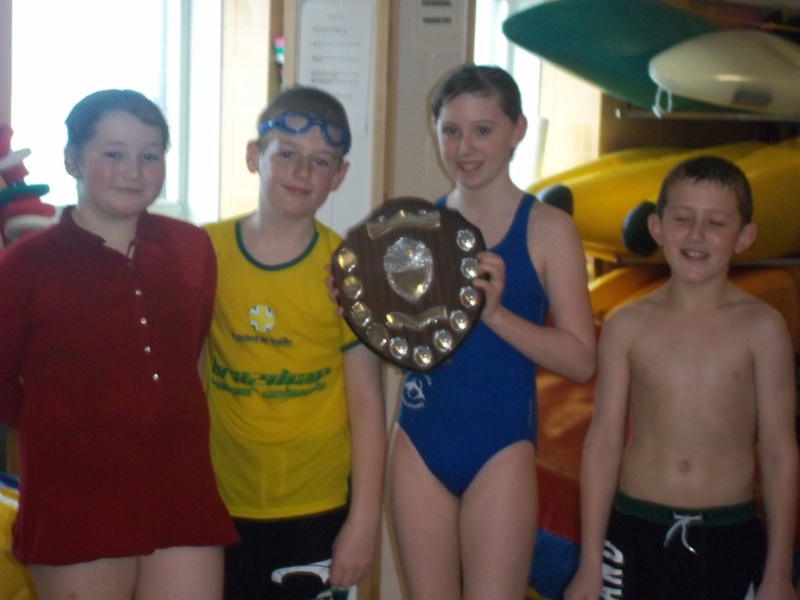 At the swimming gala we had a lot of races including front crawl, backstroke, obstacle course and the relay. Orsay got in the lead early by winning races and stayed there and won the gala in points, but came second in the relay with Texa coming in 1st in the relay and Nave came 3rd in the relay. In the points Orsay came 1st Texa in 2nd and Nave in 3rd. Eco drama came to school. In the morning it was bag girl, she showed us super hero moves like ZIP, ZAP, BONG and her special move Ka-pow. She went over the 3 Rs. We did lot of games. We had to knock down a monster. In the afternoon they did a show. The show was about how isle of Eigg got renewable energy. After all that we got a photo with a van. The people that did the show are called Eilidh and Alaster. It was funny!! 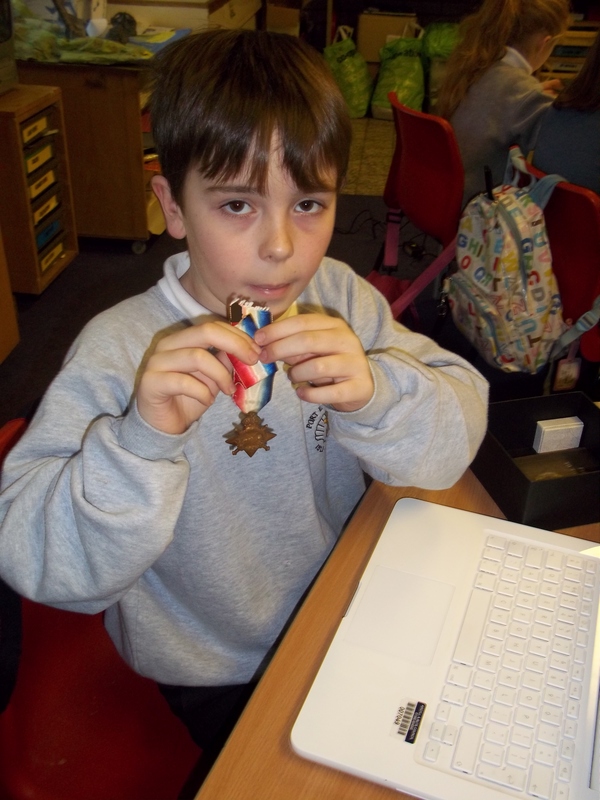 We are doing a history topic and we are trying to make our own museum and I brought in some medals from the War. They belonged to a man named Charlie Baum who was in the ambulance association and was killed while going to pick up a body. He got the medals for being part of the War and saving people’s lives. My Grandad got the medals sent to him as he was a relative. He even got parts of Charlie Baum’s clothing and other things.